Manchester United manager Jose Mourinho has revealed that he may look to prioritise the Europa League should results go against his side in their next two domestic games. The Red Devils were held to their eighth home draw of the season by West Bromwich Albion on Saturday, leaving them five points adrift of the Champions League places with just 10 games of their season remaining. United could also qualify for the Champions League by winning this season's Europa League, though, and Mourinho may look to sideline the league should they fall too far behind the top four. 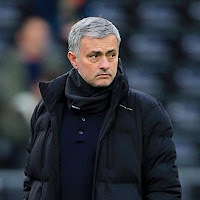 Poor results during next week's matches against Everton at Old Trafford and Sunderland at the Stadium of Light are likely to prove pivotal when Mourinho is making a decision, with the Europa League quarter-final first leg against Anderlecht taking place on April 13. "I just want to think that against Everton we are going to do what we tried to do [against West Brom], to try to play with our best team and try to win the match. And after Everton we go to Sunderland with the same perspective, and then after Sunderland the Europa League comes and I don't know," he told reporters. "Then, it's possible that you see me play in the Premier League with a team where I'm going to protect the players that I consider fundamental for the Europa League. But only, only if the results in the next matches put us in a situation where mathematically, it becomes almost impossible to do it. I go with mathematics. Until it's impossible mathematically, we keep trying. "Because this week is a week without the Europa League, we have nothing to think about with the Europa League. This week is easy. From the focus point of view, it's easy. We have to play Everton, we have to play Sunderland, and in these two matches we have to go for them thinking about the Premier League and nothing else. After that match against Sunderland, then we have Anderlecht and the quarter-final of the Europa League are very important for us." 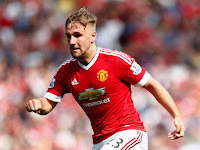 Manchester United manager Jose Mourinho has launched a fresh criticism of full-back Luke Shaw, claiming that the England international is a "long way behind" his teammates. The 21-year-old has found himself frozen out by Mourinho in recent months, making just two appearances since November due to a lack of form and fitness. 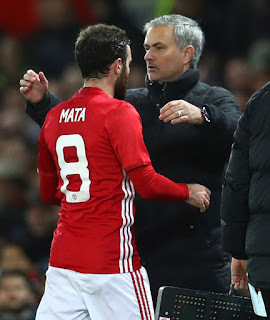 Shaw is understood to have been available for selection since mid-January, but Mourinho questioned his commitment, focus and ambition having left him out of the matchday squad once again for Saturday's 0-0 draw with West Bromwich Albion. When asked what Shaw needs to do to get back in the squad, Mourinho told reporters: "Who? Luke Shaw? It's difficult for him to be on the bench. "Because I cannot compare him with Ashley Young, with (Matteo) Darmian, with (Daley) Blind. I cannot compare the way he trains, the way he way he commits, the focus, the ambition. I cannot compare. He is a long way behind." Shaw has made just seven Premier League starts this season, with only one of those coming since October. Manchester United manager Jose Mourinho has confirmed that Juan Mata will be out for "a long time" after undergoing surgery on a groin injury. The Spaniard is expected to miss a large chunk of United's run-in, with some reports claiming that he will not be fit to feature again until next season. Mata joins Phil Jones and Chris Smalling in being long-term absentees, but Mourinho is hopeful of having Paul Pogba back sooner rather than later. "I think a long time. I think Mata, Jones and Smalling for a long time, and Pogba I cannot say he is ready for Tuesday because I don't know. But I don't think Pogba is such a long-term injury as the others," he told reporters. Mourinho will be able to welcome Ander Herrera and Zlatan Ibrahimovic back from suspension for Tuesday's Premier League clash with Everton.